The custom built Toilet / Shower chairs are fabricated after consultation with the client. The frame is manufactured from aluminium with all attachments and fittings in either aluminium or stainless steel to last longer in the bathroom environment. 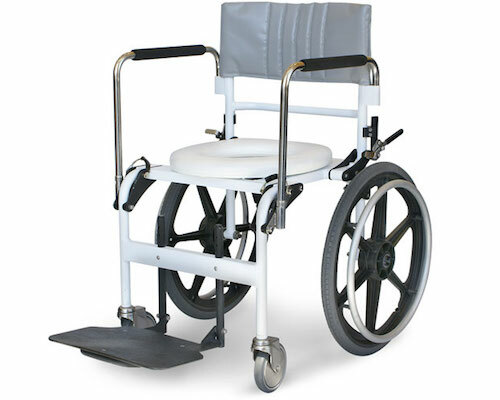 They fold easily while the wheels and armrests pop off making them easy to transport. They can also be disassembled to give them a really good clean.